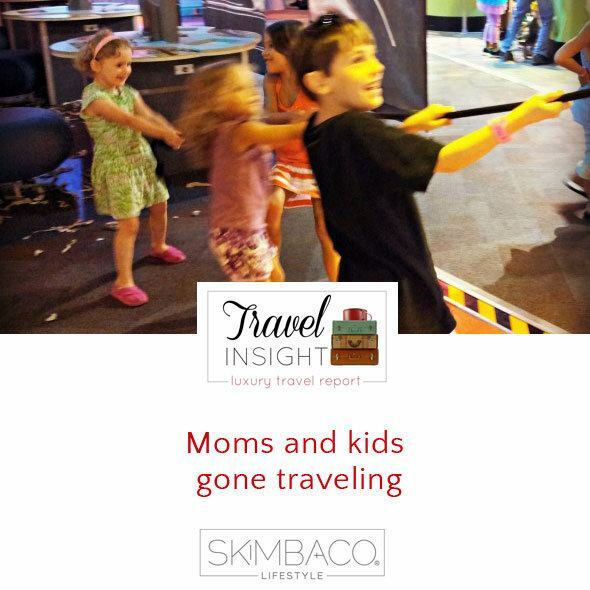 Here at Skimbaco, we want to inspire you to live life to the fullest on all budgets and in many different ways, whether that be traveling as a family with a toddler in Ireland, cruising in France with a friend, or as a young professional traveling with friends to Aspen. I have to admit that I had never gotten on board with traveling with other families on vacation before this summer. Some families rent beach homes together and love it. As an only child, I think I may be set in my ways, and even though I see myself as an extrovert on most occasions, I think I’m really an introvert because I like to do my own thing, have some alone time, and, honestly, a week with another family in one house with children has always scared me a little. Well, not a little. Make that a lot. My own children drive me crazy, and adding other people’s children to the mix on vacation was something I was nervous about doing. Who knows? Maybe I’m getting more flexible in middle age, or perhaps my children, at the ages of almost 8 and 4, are making me see things in a new light, but I actually took some baby steps and traveled overnight with another family this month to Charlotte, N.C.
My friend and I packed up our kids (four between us), and drove three hours for our own little summer camp excursion. We had a blast, and the kids loved it. I also learned that traveling with another mom is a lot more fun and a lot easier than traveling with kids on your own. My trip, of course, was centered on the city Charlotte, but you can follow the same type of agenda in any city that you like. 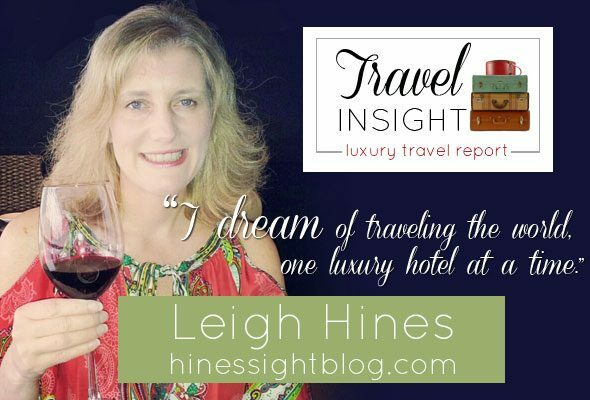 For our trip, we spent one night in a two-bedroom suite at Staybridge Suites in Charlotte Ballantyne, after exploring Discovery Place during the day. We had plenty of room for everyone. 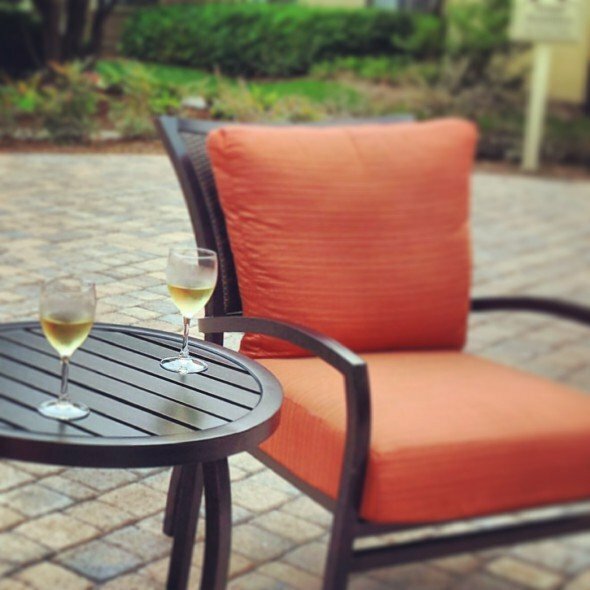 I talk more about our stay at Staybridge and Discovery Place on my own blog this month, but I do want to mention that the complimentary wine socials at the hotel were a real treat for two moms traveling with four kids. Our kids played outdoor games while my friend and I chatted over one glass of wine before taking the kids out for pizza. And moms, here’s a tip if you ever find yourself at Staybridge on the night they hold a social, usually Tuesday through Thursday. We decided to take back to our suite with us one glass of wine each, stored them in our full-size fridge, and enjoyed the wine later in the evening over great conversation, once we got all the kids in bed. The two-bedroom suite was the perfect place for me to get my feet wet, so to speak, and to experience the joys of traveling with another family. You can have a shorter commitment than you do with a week-long house rental, and, if you really wanted, each family could also get its own hotel room. In other words, you could play together, but not necessarily stay together. Museums: Museums make great destinations for families to experience together. 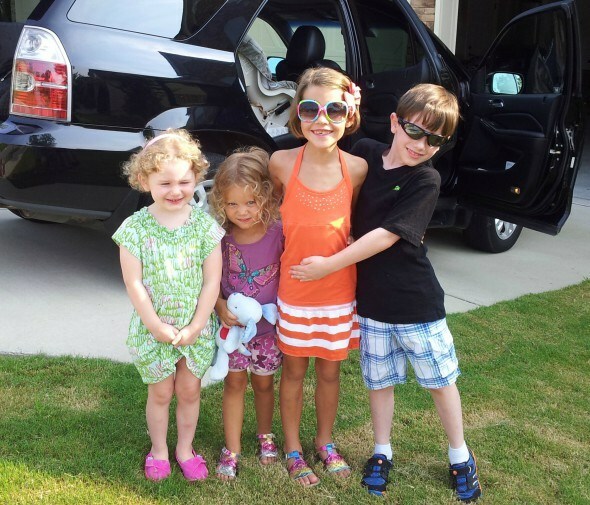 Kids enjoy interacting with each other, and it can make the trip more fun. 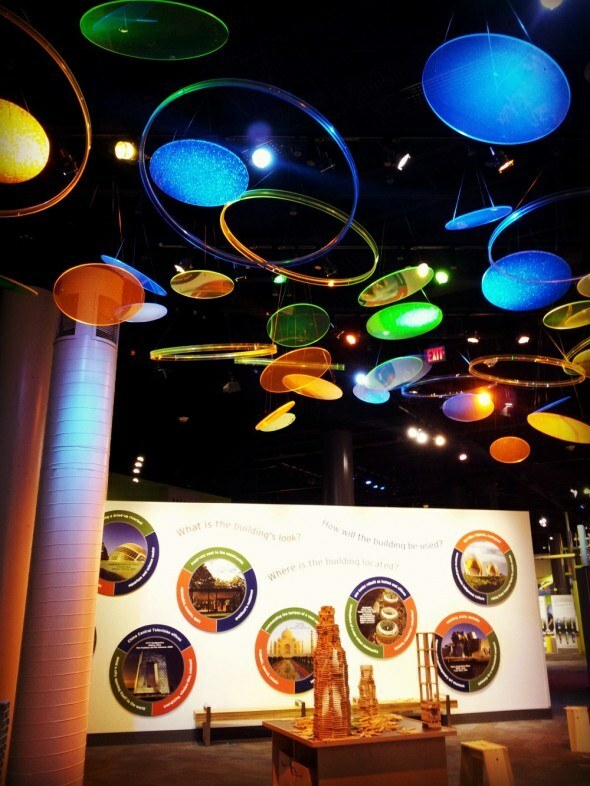 Discovery Place in Charlotte is a great hands-on science museum for kids that never leaves you with a dull moment, plus the NASCAR Hall of Fame puts you in the fast lane, which I wrote about that experience last year on Skimbaco. If you have time on your trip, discover several museums. Museum costs are usually affordable, and many have free admission. Theme Parks: Amusement parks have been thrilling families for years. If you experience a theme park, you may want to plan a two-night excursion to get the most out of admission fees and to be able to stay at the park as long as possible. 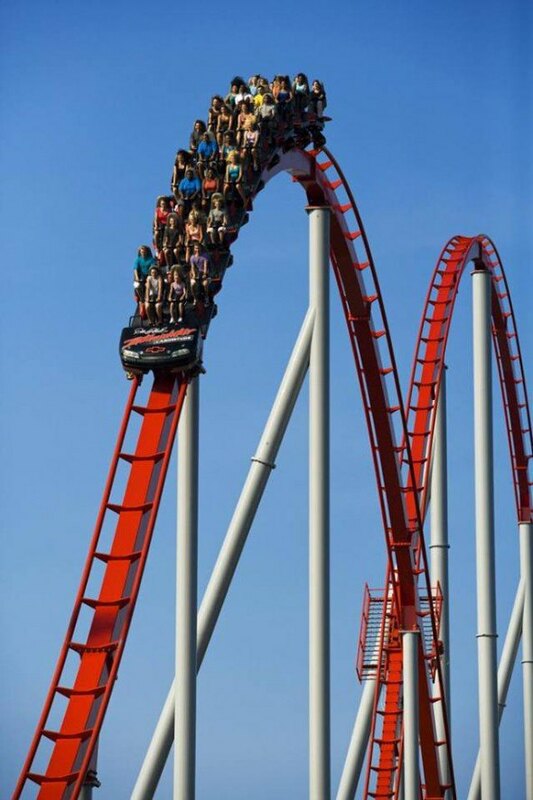 Charlotte has a great amusement park called Carowinds, and this would make a great excursion for families to experience together. Be sure to check a theme park’s hours before planning a trip. Often, they are seasonal, and are only open on the weekends outside the summer season. We chose to wait on this excursion until the Dads could be with us because we thought their help may needed with the kids. The Zoo or Animal Sanctuaries: Who doesn’t love a zoo? Lions, tigers, and bears, oh my! In North Carolina, we have a state-operated zoo, located in Asheboro. It’s located in the piedmont region and is an easy day trip for many families in North Carolina, but it is an ideal overnight destination for families who are more than two hours away. Many cities throughout the country have zoos or even sanctuaries for animals. The Charlotte area also has the Carolina Raptor Center, which is a 57-acre living museum and avian medical facility displaying over 25 species of raptors in a zoo-like setting. Located in Latta Plantation Nature Preserve, the 3/4-mile Raptor Trail features eagles, owls, falcons, hawks, vultures and other raptor species. Hiking and Nature Adventures: This may be better suited for families with older children, but our own travel writer Satu does adventure regularly with a young child. Many cities have hiking trails or gardens to explore. Many now have ziplines as an attraction. In Charlotte, there is the U.S National Whitewater Rafting Center. Be sure to check each area’s tourism website for great ideas for adventure. 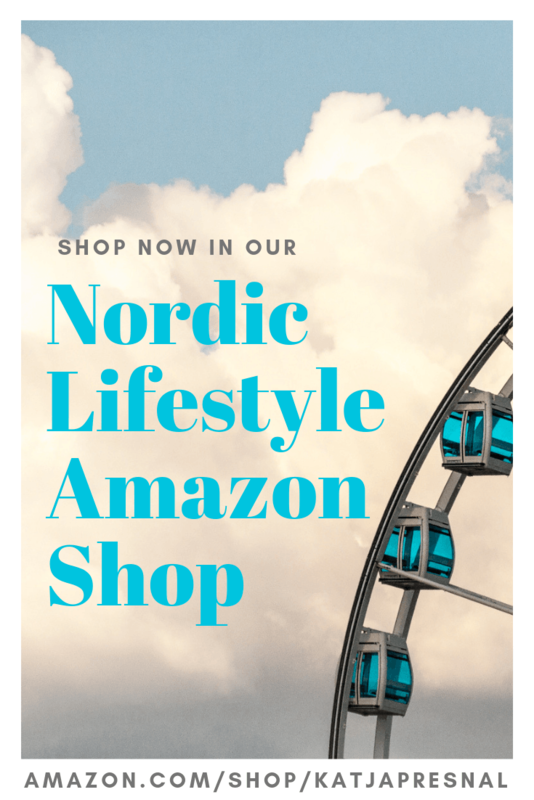 Shopping: What? You read that right. Teenage girls may love a shopping adventure mixed in with some spa time, but I usually don’t recommend shopping with children unless you perhaps go to IKEA. My friend and I stopped in IKEA in Charlotte on the way back to Raleigh. IKEA has a children’s play place where kids can stay for one hour while parents shop. All kids must be 37 inches tall in order to play, and they measure every child before entering. I’m not joking when I tell you that when I asked the kids their favorite thing about our trip, they said they loved the IKEA play place. But you know how kids are: They love the last thing they experienced when asked. I know for a fact that they also loved sharing popcorn in our suite and giggling in their pajamas over the Tooting Cow at the museum. My friend and I enjoyed putting them to bed and talking way later than we should have. Do you like to travel with others? Disclosure: Staybridge Suites Charlotte Ballantyne sponsored my stay in the Charlotte area so that I could discover the joys of traveling with another family. As always, opinions about properties I write about on Skimbaco are my own, and your experience may vary. I live like a tourist in my hometown and my dream is to travel the world one luxury hotel at the time. 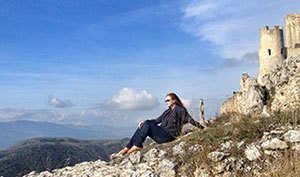 If you love traveling as much as I do, subscribe to Skimbaco Travel, and never miss any travel content from our site.